Which type of hearing protector? The EARfoon Multiclick hearing protector makes it possible to click a second EARfoon Multiclick filter with greater noise reduction properties to the basic filter, which substantially increases the noise reduction value of the hearing protector. This model provides a choice between two noise reduction characteristics for alternating work/noise conditions with a single hearing protection system. 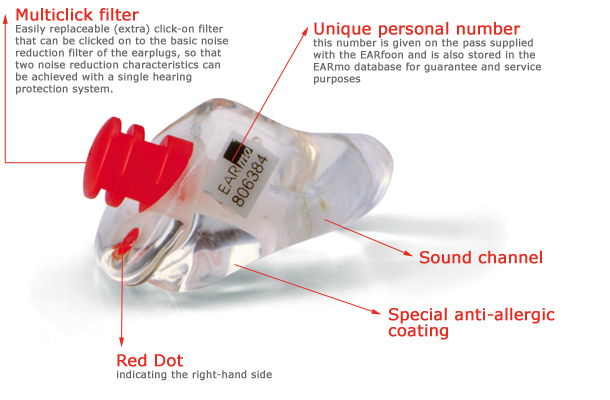 The EARfoon Multiclick is exclusively available in acrylic material, and comes in various colours. “Noise is bad, and hearing impairment is irreversible.